The award-winning Jesus Storybook Bible invites children to discover - through full-colour illustrations and three read-along CDs - that Jesus is at the centre of God's great story of salvation and at the centre of their story, too. This beautifully crafted deluxe edition, with ribbon marker and audio CDs, is a wonderful gift and sure to become a family treasure. The Jesus Storybook Bible by Sally Lloyd-Jones was published by Zonderkidz in August 2014 and is our 8986th best seller. The ISBN for The Jesus Storybook Bible is 9780310748847. 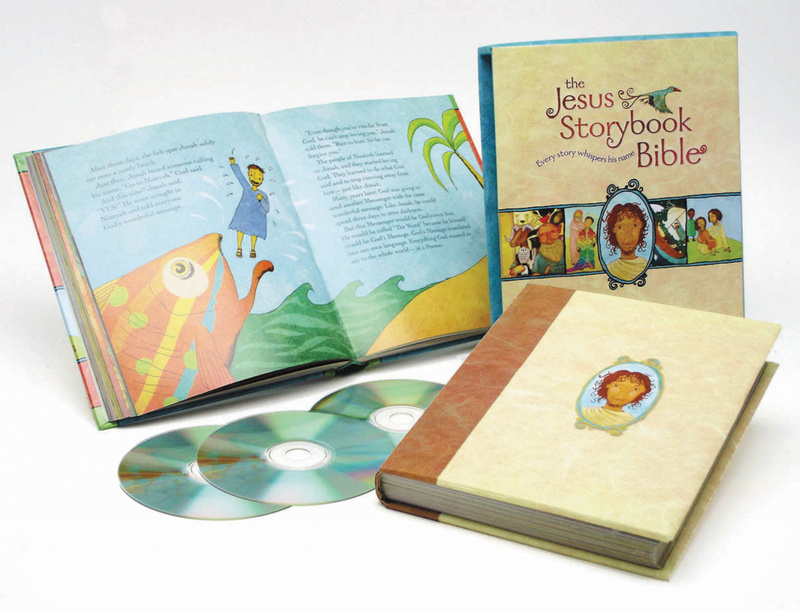 Be the first to review The Jesus Storybook Bible! Got a question? No problem! Just click here to ask us about The Jesus Storybook Bible. Do the audio CDs have David Suchet reading the stories? A:Yes, it's David Suchet narrating the stories. Thank you for using the Q&A Forum. Does this edition have Anlicised or US spelling, please? A:This edition is the Americanised version. We do have the Anglicised version, if that is what you are looking for. Here's the link to it: http://www.eden.co.uk/jesus-storybook-bible-uk-edition-9780310729945 Thank you for using the Q&A Forum.